Biomechanics coaching using Mary Wanless' Ride With Your Mind™ approach. Feel, see and understand the hidden "how" of riding. Learn how to learn, using Kinesthetic, Auditory and Visual input. Utilizing psychology and bodywork systems, Ride With Your Mind™ (RWYM) is a tremendous advance in teaching and learning. This is not your grandmother's riding method! RWYM helps organize your mind and body like riders we call "talented." 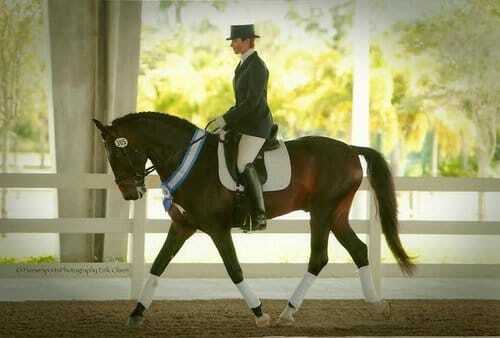 Learn what "talented" riders do that they rarely realize! Learn the feels. Achieve the results. When riders use their bodies to ride in the horse's language, riding becomes extremely ethical and horses miraculously "get it." This is not a new way of riding. RWYM is a new way of communicating the traditional skills of riding. It makes skills accessible in bite-sized chunks. RWYM breaks down the traditional language of riding into strategies that explain not just what to do, but how and why. Mary Wanless' RWYM is highly interactive. 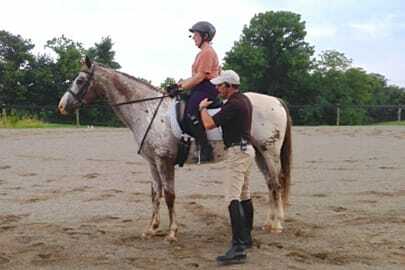 Rider and coach act as equals as they combine perceptions to unravel the puzzle of how rider and horse affect each other. 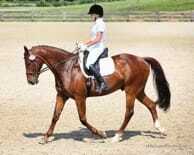 Talented riders gain hugely from explicitly learning physical skills that address their training issues. 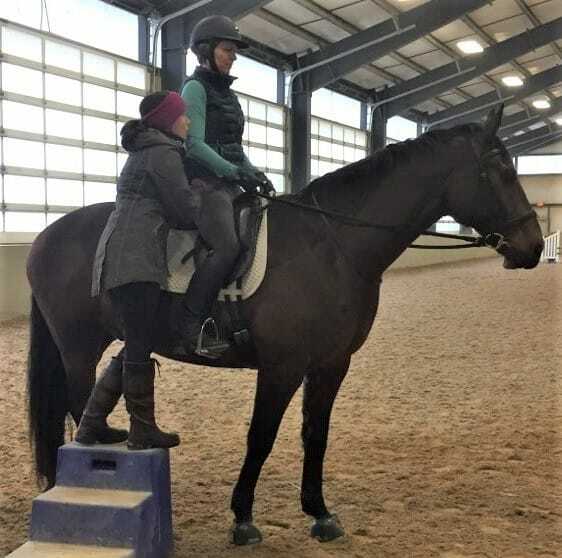 Experienced riders frequently say, "I learned more in one RWYM lesson than in the last year of lessons with others." 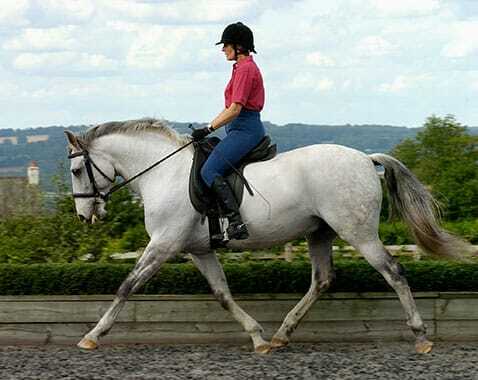 Few trainers in any discipline can "clone" riders who replicate their skills. WE CAN! 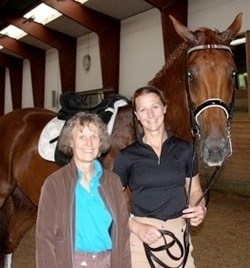 "The person who has been the biggest influence in my riding is my biomechanics coach, Mary Wanless. I met Mary in 1993 and have continued to learn from her to the present. 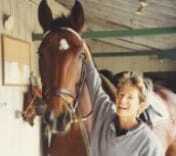 Her research into the effect of riders’ bodies on horses is extensive and unique and not found in more “traditional” training. Her theories continue miles beyond teaching the beginner to improve their seat. 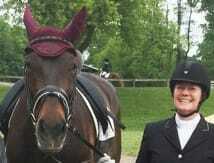 The more advanced I become in my riding, I find her even more helpful. Like a mechanic tuning my engine as I need more and more technique, power and refinement. As you progress up the levels, it gets harder and harder to find words to describe what we’re trying to achieve but Mary’s style, using analogies and sensory feedback allows for amazing communication and understanding in a world of feel and timing. I have always had a special niche in my own teaching because of my education from Mary and will forever be grateful for the day I was introduced to her." Heather Blitz is a 2011 Pan Am Games Team Gold & Individual Silver Medalist and Alternate for the London 2012 USA Olympic Dressage Team. RWYM USA coaches are available at their own locations and yours! Visit coaches' websites to learn more about them. Mary Wanless visits the USA three times a year to hold clinics. U.S. dates and venues can be found on her website by clicking here. You can also purchase books and DVDs from Mary Wanless by clicking the button below.